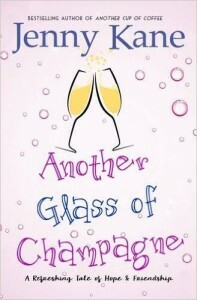 Another Glass of Champagne goes AUDIO! 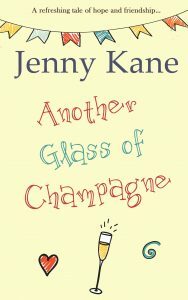 Posted by Jenny Kane on Oct 19th, 2016 in Audio, Blog, Contemporary fiction, Contemporary Romantic Fiction, Fiction, Jenny Kane, Romance | Comments Off on Another Glass of Champagne goes AUDIO! 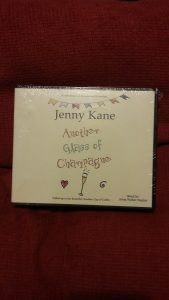 I’m delighted to be able to announce the birth of my very first Jenny Kane audio book. Another Glass of Champagne can now be purchased as a audio book – the perfect listen for a long car journey, or to help the housework along. Amy and husband Paul are expecting their first baby – they want Amy’s best friend Jack to be godfather, but having left London to ‘find himself’ he hasn’t been heard from in months. When Jack suddenly turns up, things seem to fit nicely into place – but his motives for returning to Richmond aren’t all altruistic. He has a plan – one which could put community hub Pickwicks Coffee Shop out of business, and potentially ruin a number of old friendships. Meanwhile, Kit has problems of her own: just when her career as an author has started to take off, she finds herself unable to write – and there’s a deadline looming…not to mention two children to see through their difficult teenage years. Unbridged, you can listen to award winning voiceover artist, Anna Parker-Naples read my novel out to you as you go about your day – all day in fact, as it is a 9 hour and 8 minute production!! Of course, you can still grab the paperback or Kindle versions as well!